Whether you have a child going through potty training or a new puppy, you’ll be dealing with pee. My puppy sleeps with me all the time & he has pee’d on the bed a couple times. 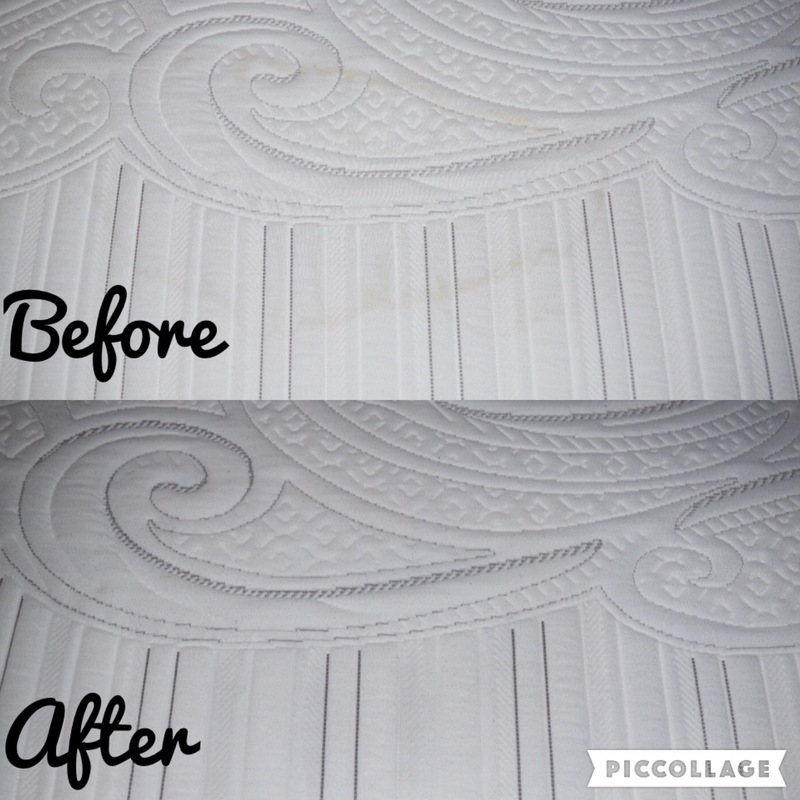 Pee stains are gross & make your mattress look bad. 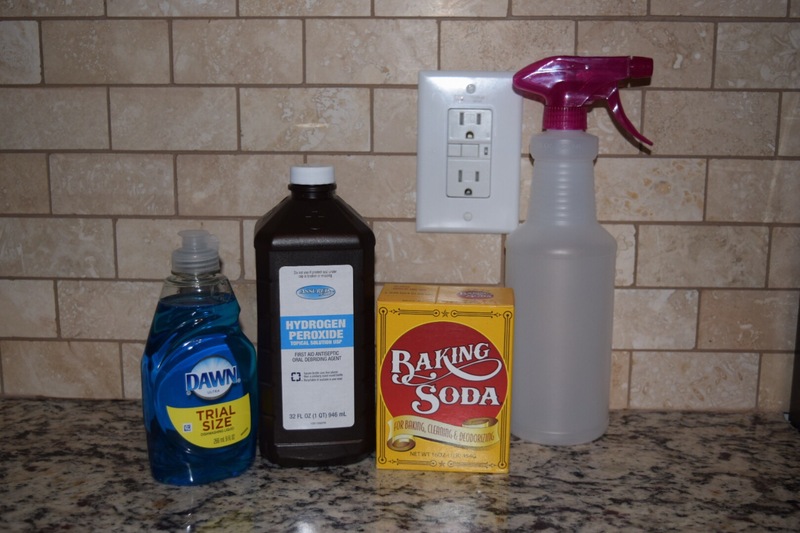 With these 3 common household items you can make those stains disappear! I got all of these items at the dollar store, no need to spend more than that! Once you have poured it all into the spray bottle gently swirl the mixture, DO NOT SHAKE. Use within 20 minutes of making the mixture. Spray the affected area & allow 5-10minutes to pass. You should see the stain lifted from your mattress. Here is a before & after photo of when I did it this morning!